Nvidia, the company that makes chips for video games, artificial intelligence and more, came forward to speak about cryptocurrency and the bright future this technology holds. Quite recently, when Nvidia became involved in cryptocurrency, their stock option decreased. However, this did not affect the company’s stand on the crypto-market as they still see a bright future for the technology. Jim Cramer interviewed the CEO of Nvidia, Jensen Huang, on the show Mad Money and he talked about a promising future for Bitcoin and blockchain technologies. 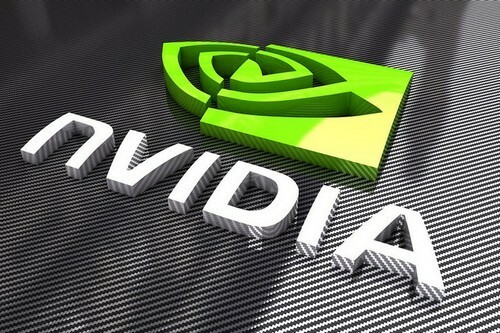 Today, Nvidia is a computing company, working towards producing high-powered graphics processing units (GPU). For a few months now the company has been involved in the cryptocurrency market, utilizing transfer and change of value at an extremely affordable rate. This is something that is a need in technology, so it has won the hearts of many companies like Nvidia. The CEO spoke about a technological future where autonomy rules and blockchain is really going to enhance the space. He calls blockchain a fundamentally new form of computing and claims that Nvidia processors are the best options to mine cryptocurrencies like Bitcoin. Consequently, Huang spoke about cryptocurrency with high regards and mentioned that cryptocurrency is going to be a driver for their GPUs because it is the world’s largest installed base of distributed supercomputing. He was quite sure when he stated that he doesn’t expect cryptocurrencies to go away anytime soon. It is quite interesting to observe the future of blockchain technology and cryptocurrency. There have been mixed reviews regarding the future of Bitcoin technology and cryptocurrency. While many have discounted the entire technology, there are others who are foreseeing its bright future. The negative crypto-critics are quite a few. Here are some of them. Recently the giant search engine Google and social media platforms placed advertizing bans against cryptocurrency. There were a few negative reviews that also came from people like Bill Gates regarding the shady nature of the technology. A few discussions sprung up regarding anonymity of this technology claiming that such a nature is dangerous as it can invite illegal activities. A research has even stated that people with cryptocurrency in their wallet have indulged in illegal activities and hence there seems to be a harmful side to the crypto-market. This may seem like the technology might have a dark future, however, with positive support from top companies such as Nvidia, cryptocurrency is sure to go a long way. All in all, this type of technology more likely is going to make transactions a lot easier and globalized.